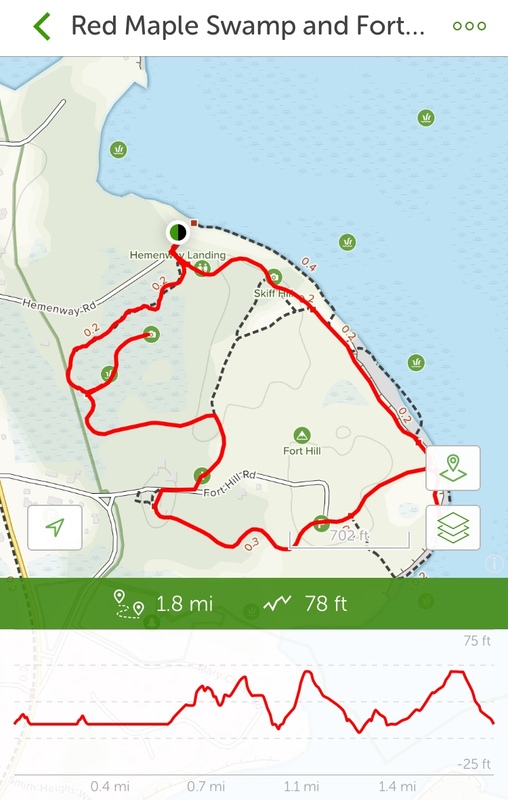 Red Maple Swamp Trail At Fort Hill On Cape Cod Is On The Alltrails App. Red Maple Swamp Trail At Fort Hill is one of our favorite hikes. There is so much diversity. I’ve posted many photographs of the hike but never a map, which is at the end of the blog along with more photographs throughout the blog. 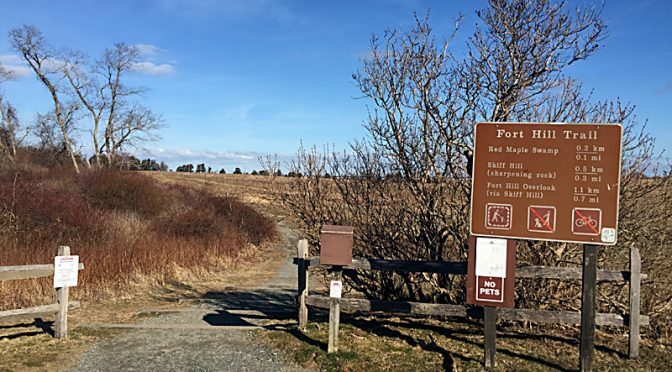 The trail starts out at the trailhead of the first parking lot where you can see sweeping views of the fields which, in the summer, is teeming with wildflowers and butterflies, and out to Nauset Marsh. In the distance you can even see Nauset Beach. 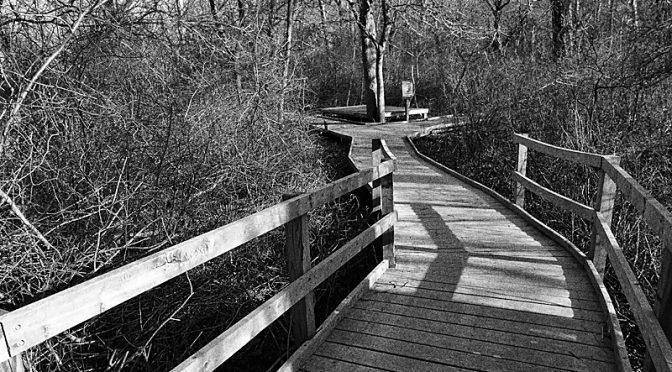 Follow the signs for Red Maple Swamp Trail and it will lead you through the woods and to the boardwalk across the swamp. It is beautiful. From there you can stop at Hemenway Landing and watch the boats going in and out or just sit on one of the 2 benches and enjoy the views. As you head back up the hill, there are several places where you can see Nauset Marsh from above with Coast Guard Station in the distance. 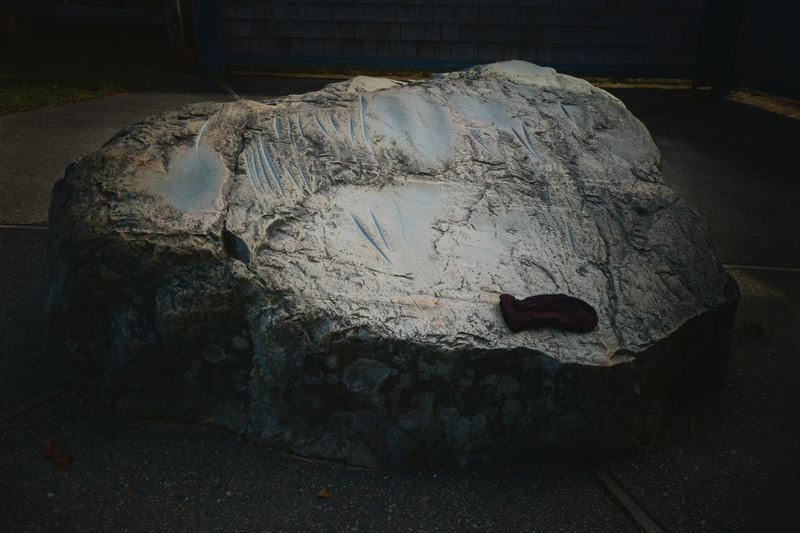 You will pass Indian Rock on Skiff Hill which is very interesting. 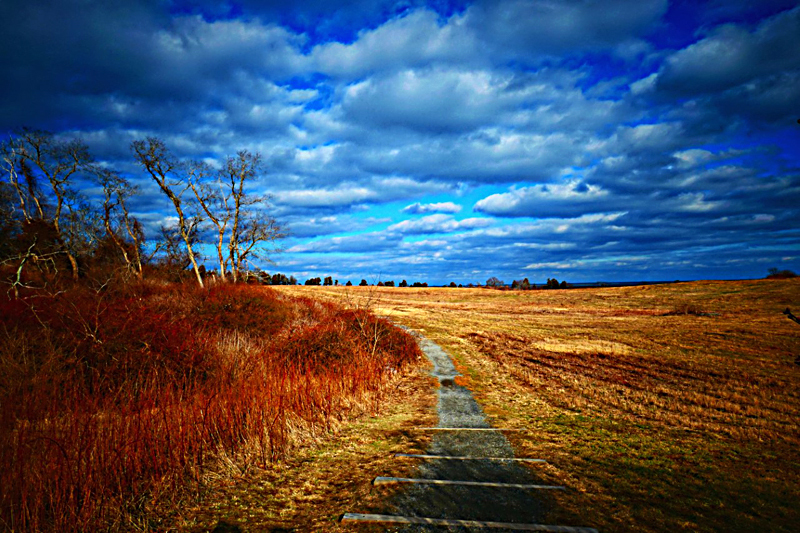 At the big rock and intersection, you can meander along the shores of Nauset Marsh or head back up the hill to the upper parking lot where you will see more spectacular views. It is the perfect hike for the whole family …any season of the year! 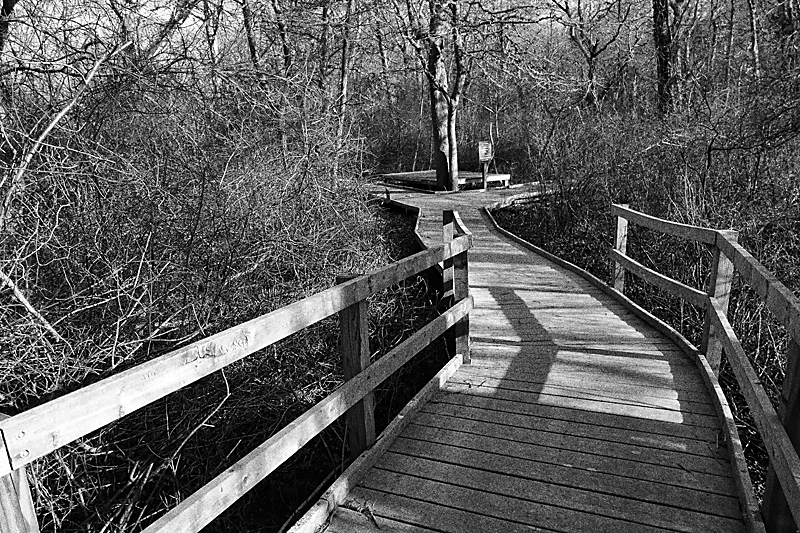 Red Maple Swamp Trail Boardwalk At Fort Hill On Cape Cod… In Black And White Or Color? 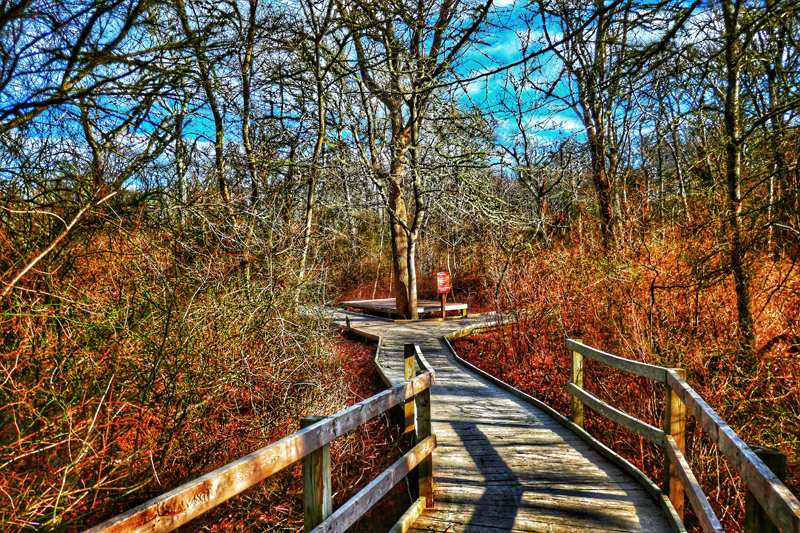 Red Maple Trail is one of our favorite hikes here on Cape Cod. It has so much diversity. 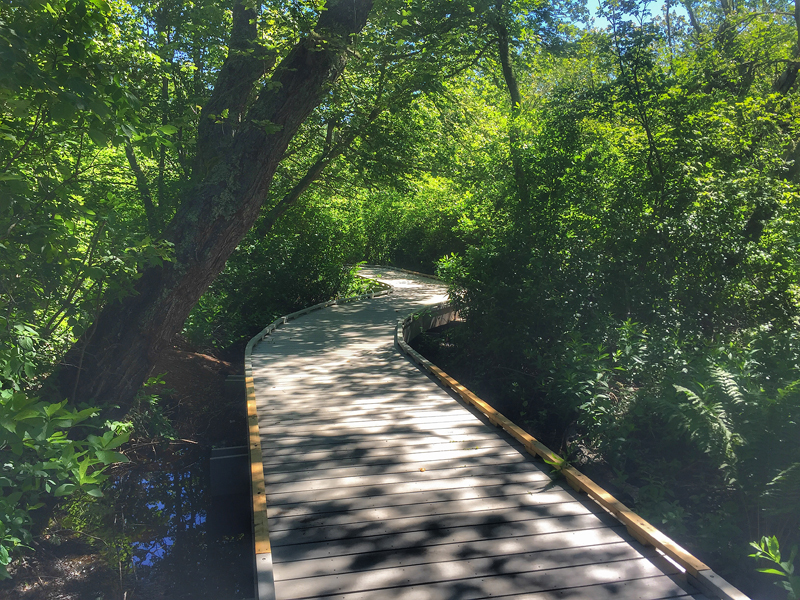 You hike through the woods, on a boardwalk over Red Maple Swamp, down to the shores to Nauset Marsh and then back through the meadows and hills at Fort Hill. It is spectacular, any time of the day and any time of the year. I thought this photograph where the trail and the spur intersect was very interesting so I took it in black and white and in color. Which one do you like better? 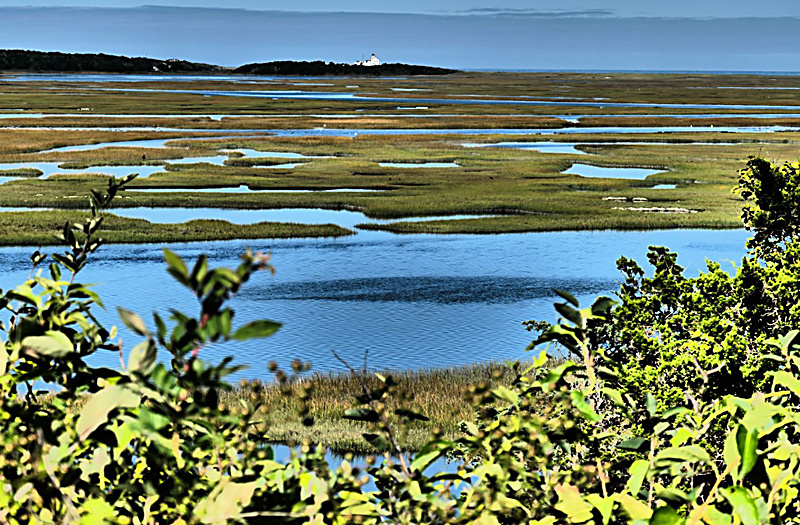 Nauset Marsh From Fort Hill On Cape Cod Is Always Spectacular! 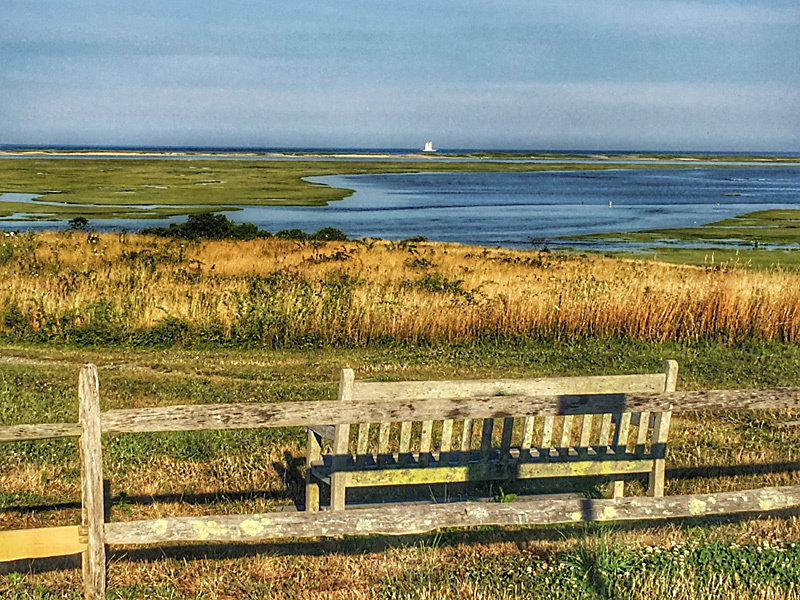 The view of Nauset Marsh from Fort Hil, no matter what direction you look, is always breathtaking. 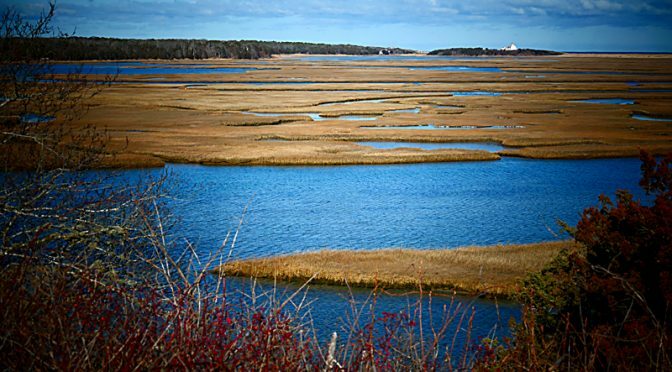 I love this view of Nauset Marsh with Coast Guard Station in the background, especially with the blue, blue water. 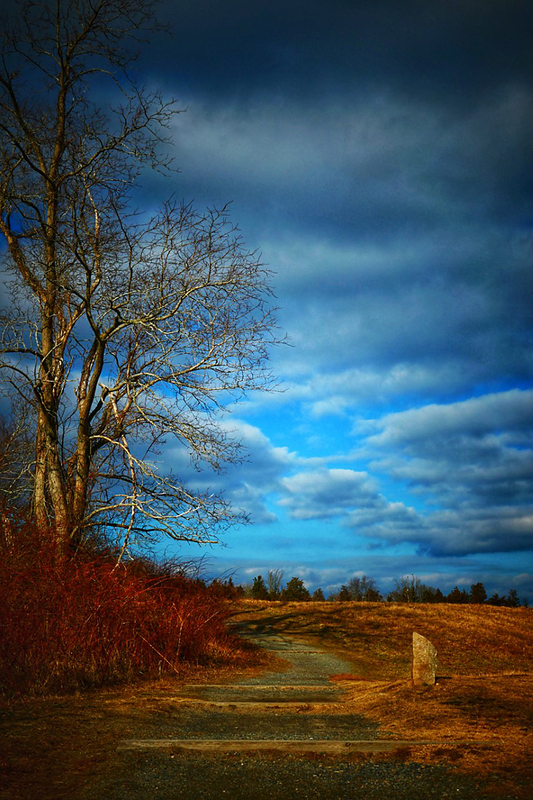 Gorgeous Clouds At Fort Hill On Cape Cod! I couldn’t decide which one I liked better… horizontal or vertical. What do you think? Indian Rock At Skiff Hill At Fort Hill On Cape Cod. The light was so beautiful on the carvings at Indian Rock at Fort Hill the other day. It almost looks like dusk, but it was in the middle of the afternoon. 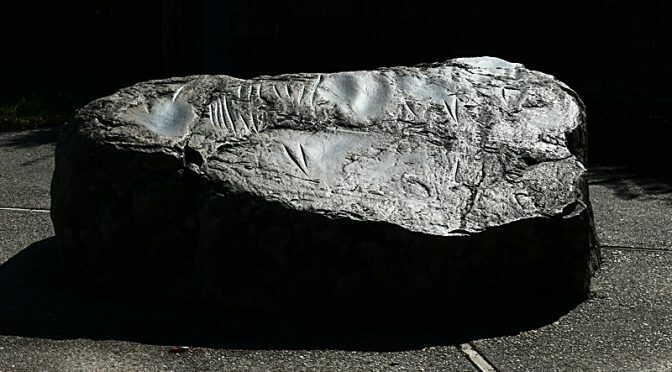 Indian Rock was a “community grinding rock, one of four such rocks found in the Nauset area. The Indians used the abrasive qualities of the fine-grained metamorphic rock to grind and polish implements made of stone and animal bones, such as stone axes or bone fishhooks. 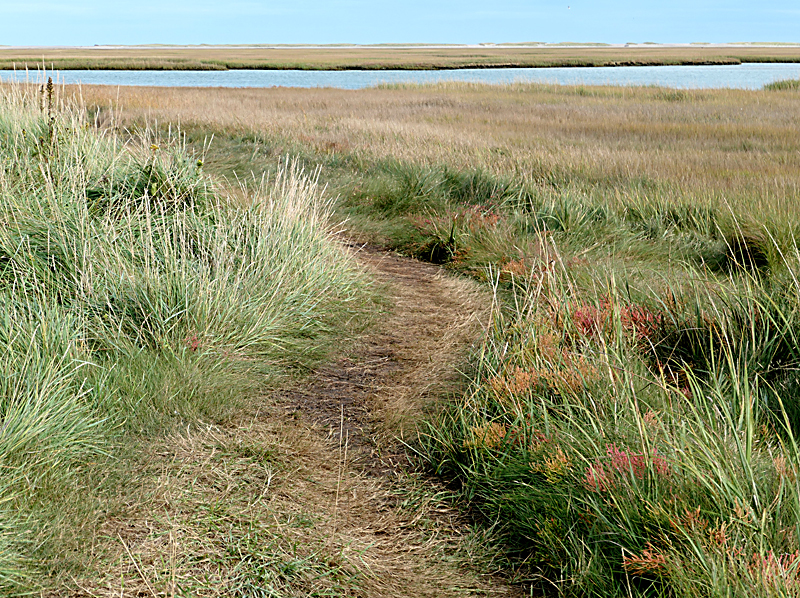 The Many Salt Marsh Plants On Cape Cod. Merry We were taking a hike at Fort Hill last fall when we passed a group of middle school student on a field trip. Their guide was telling them about the salt marsh and that there are 3 plants that make up a salt marsh. I thought to myself, “I never knew that. I’ll have to look that up when I get home.” I did some research and I think they are herbs, grasses and low shrubs. Does anyone know if this is correct? There are many, many different varieties of each of these plants. 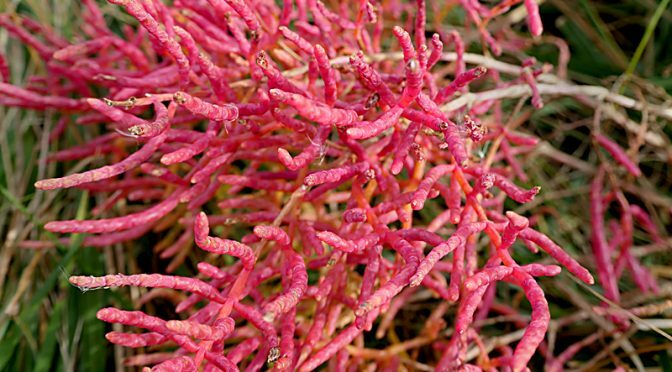 This is a photograph of Glasswort or Pickleweed. 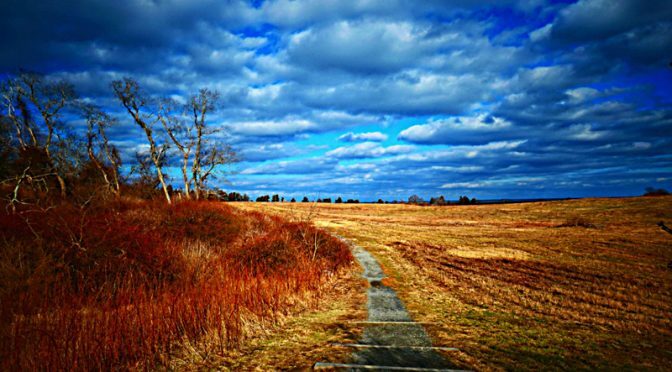 You can see it along the side of the trail on the salt marsh at Fort Hill.